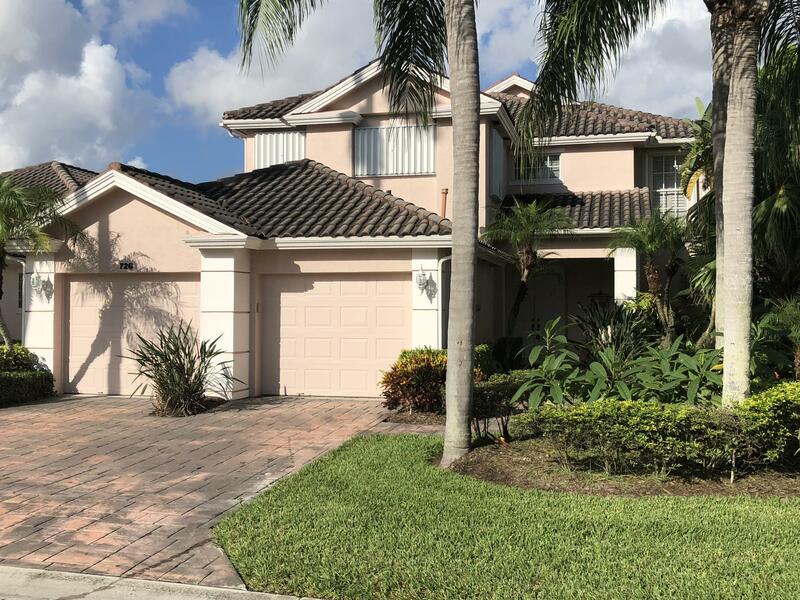 Home in PGA National Priced to Sell! VERY MOTIVATED SELLER. BRING ALL OFFERS!! No Membership Required! Needs Some TLC. Spectacular lake views and breathtaking sunsets from this 4BR/3BA home on a quiet street. The pretty walkway leads you into this spacious & open floor plan home. Soaring ceilings provide a feeling of grandeur. The kitchen is open and has a desirable gas range, pantry, and island. Off the kitchen is the family room, which offers stunning views of the lake. The dining room is perfect for dinner parties. The master is private, has a huge walk-in closet, and has great lake views from the balcony. The master bath has a soothing jetted tub.